So called Jacob’s Ladder. 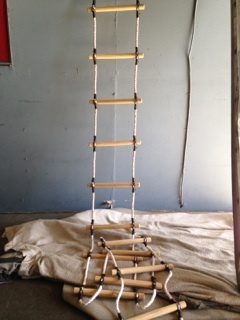 Flat wooden rungs supported with Manila rope. Ideal for general purpose use. 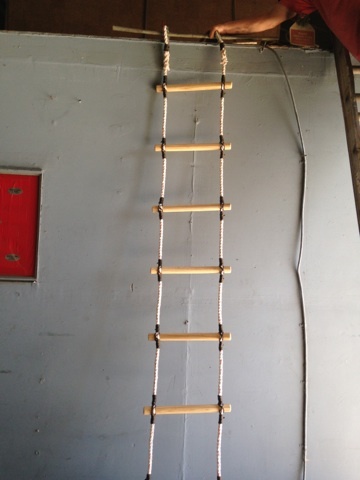 Flat Step Jacob Ladder are on of our popular rope ladder. Recently we sold our largest order for exercise ropes since we have been doing this product line. The order included 182 1/2″ x 30′ manila climbing ropes for gyms, 72 2″ x 30′ Black poly/dacron ropes for upper body strengthing as well as 20 1 1/2″ x 100′ ropes for a real tough workout for upper body strengthening. The buyer for this order is the U.S. ARMY. 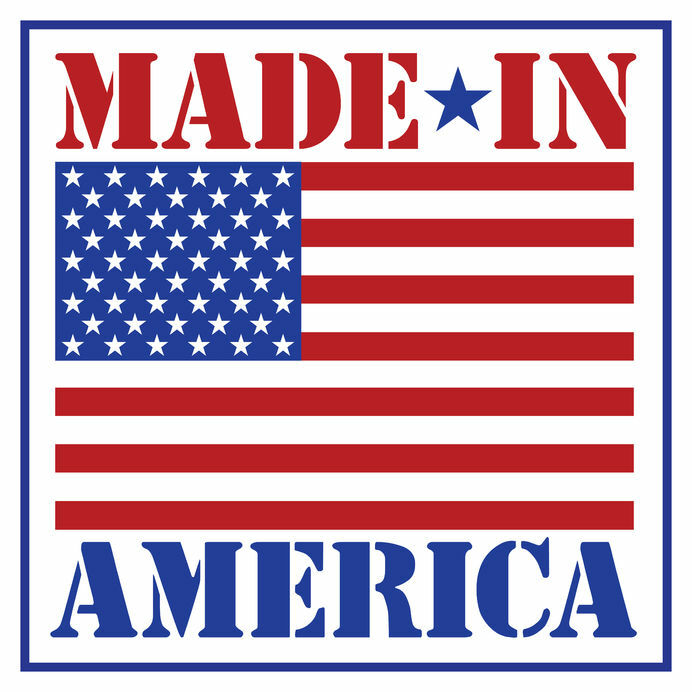 They were are delivered to the Houston, Texas warehouse for distribution to all the bases here in the United States, as well as overseas bases. Some of the popular uses of the flat step Jacob Ladder are children’s bunk beds and you’ll also see them in parks. 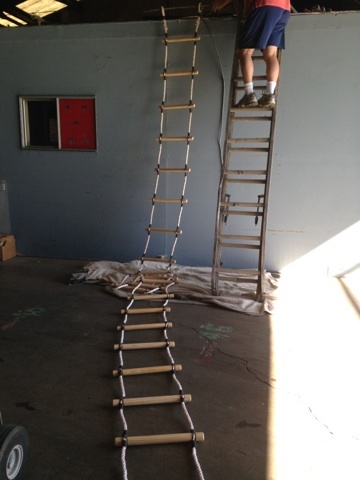 These ladders consist of: steps measuring 20″ x 4″ x 1″. Each step has grooves on top to prevent hydroplaning. 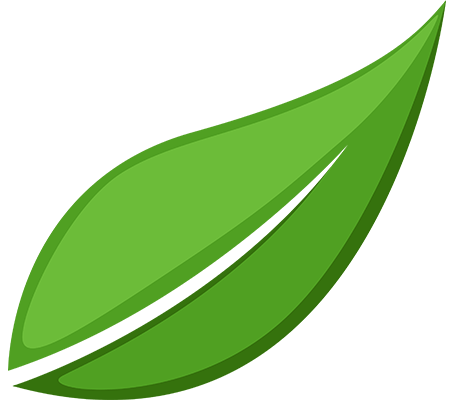 Each step has four hearts or platforms to prevent step from tipping, should one stand on the front of step. Steps are spaced every 14″. 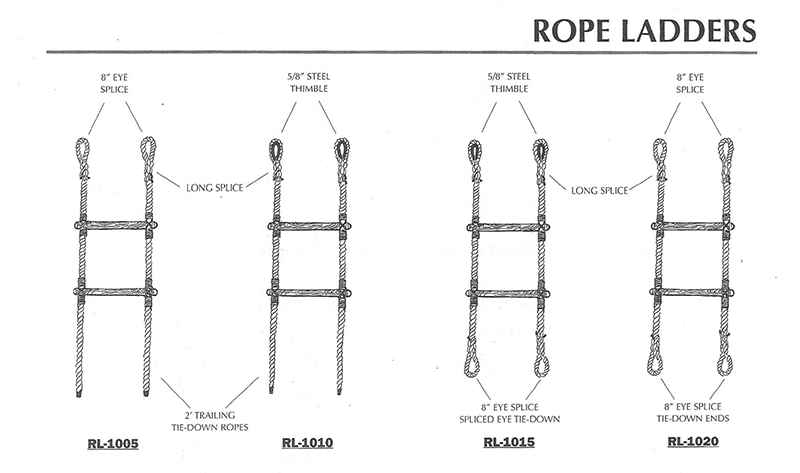 Four ropes, two each side to complete ladder. Light wieght metal thimbles recommended at top to protect and prolong life of the rope. 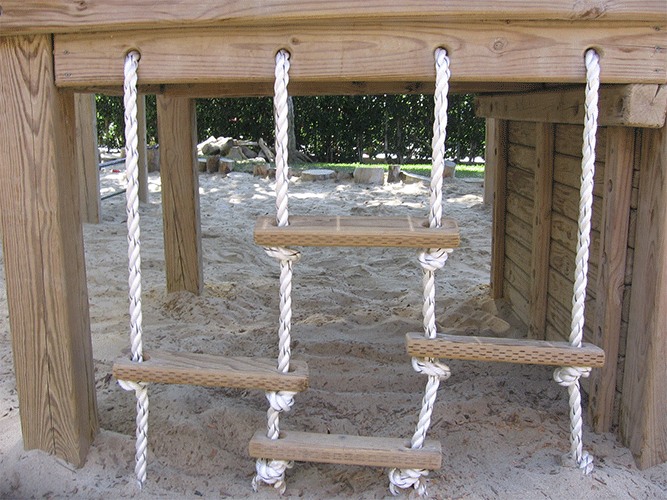 Three-quarter inch poly/dacron rope is used. 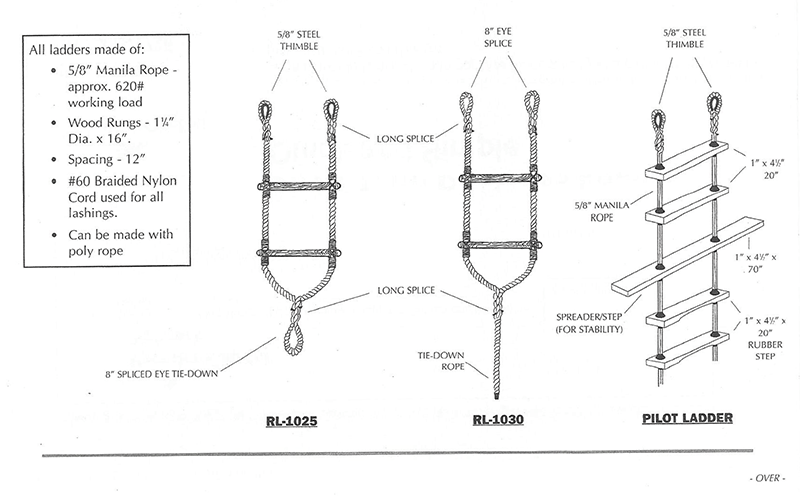 Tensile strength of rope is 9,800 pounds making this a heavy duty rope for jobs that need this kind of muscle.